Capture—the process of getting data into Laserfiche—is an integral part of many business processes. 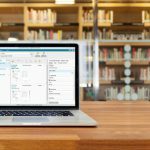 The sooner documents are stored in Laserfiche, the sooner they become auditable, available to other users and subject to record retention rules. Below is an overview of the various capture tools available in Laserfiche. Dragging and dropping is the simplest form of capture. 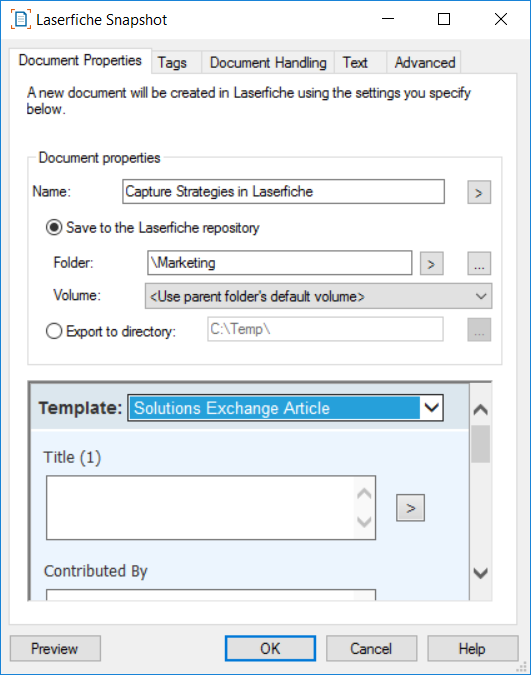 Simply select an entry and drag it into a folder in Laserfiche. 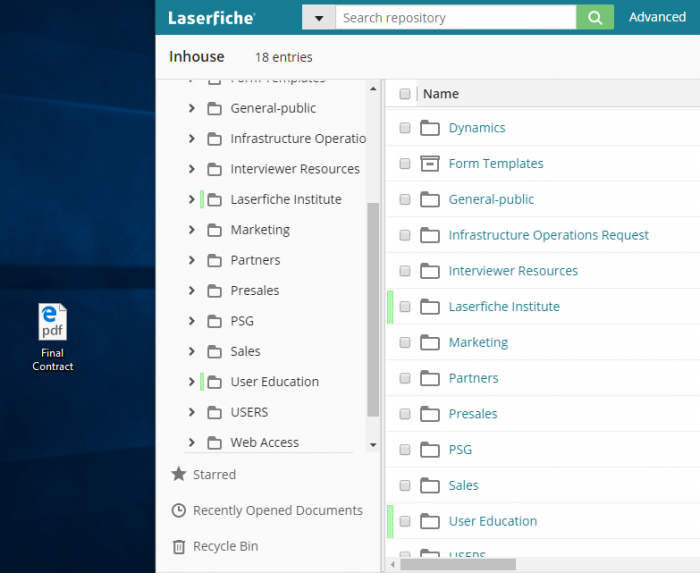 Additionally, it is also possible to import individual files into Laserfiche from both the Windows and web clients. Documents can be imported from the hard drive, network drive or, in the web client only, from Microsoft One Drive or Google Drive. Note that the latter is only available if your administrator has enabled and configured it. During printing with Snapshot, a user can select the appropriate folder in the repository where the document should be saved, and add appropriate metadata. 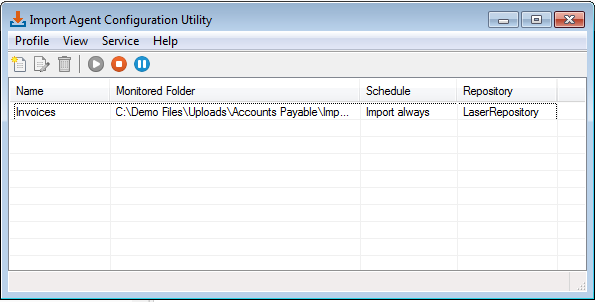 Laserfiche Import Agent monitors certain network folders and imports documents from them into the Laserfiche repository. The utility can be scheduled to look for documents during a certain time frame or continuously. Laserfiche Import Agent is useful for fax servers, multi-function printers and FTP sites, and anywhere that users scan documents into a network folder. 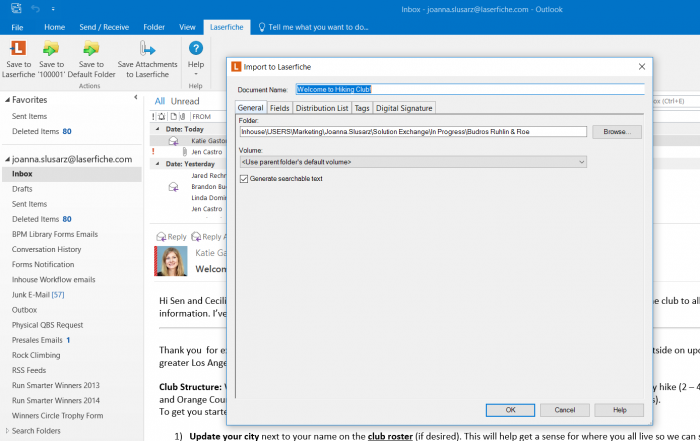 Laserfiche Scanning comes standard with the Laserfiche Windows client. 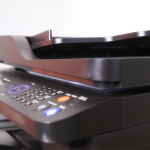 It can be used for capturing and processing physical documents as well as image files stored locally or on a network. 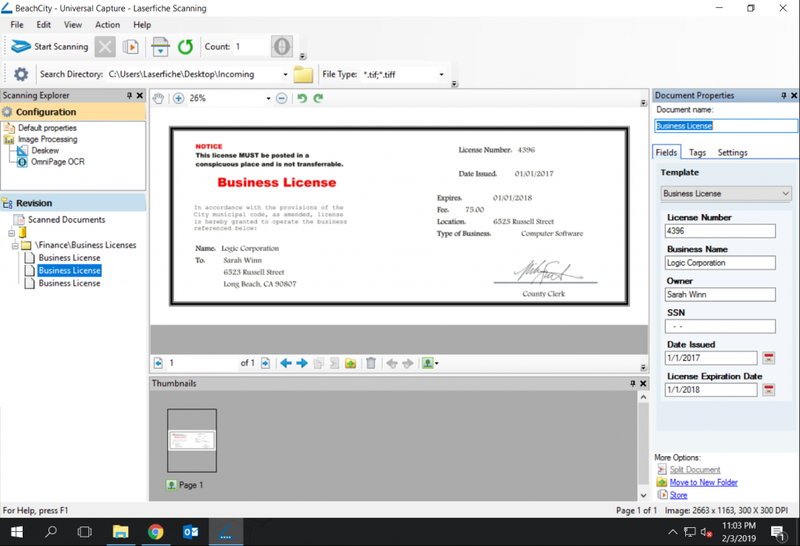 Access Laserfiche Scanning from a button in the Laserfiche Windows or web client. 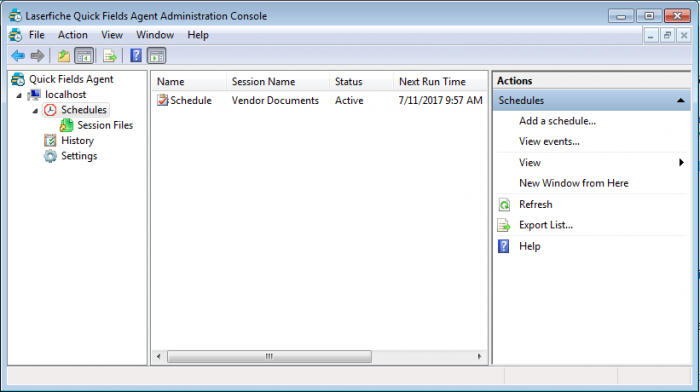 Laserfiche Quick Fields Agent allows an administrator to automate Laserfiche Quick Fields sessions and run them on a variety of schedules. When configured to run on a schedule, no manual processing is required. Quick Fields Agent is useful for processing document during off hours. 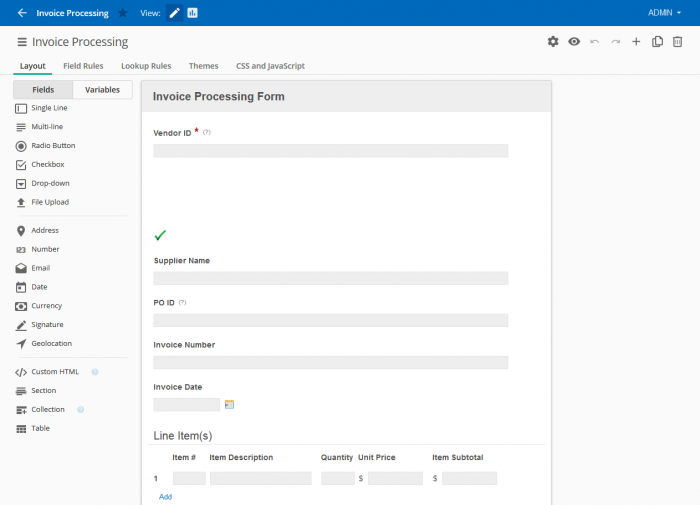 Users can create and save processing profiles for frequently used enhancements. 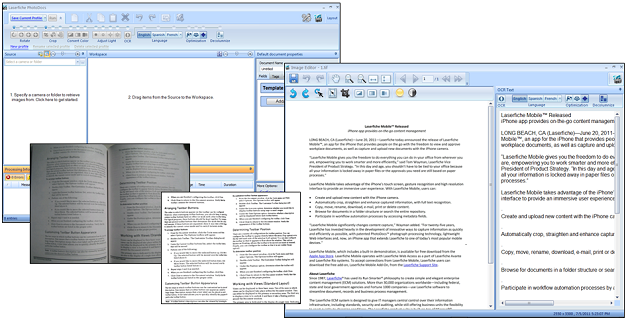 PhotoDocs is only supported by the Laserfiche Windows client. It cannot be used with the Laserfiche web client. The Laserfiche app for iOS, Android and Windows simplifies capturing information in the field or on-the-go. The app makes it easy to take a photo with the camera on a mobile device and upload it to the repository along with metadata. 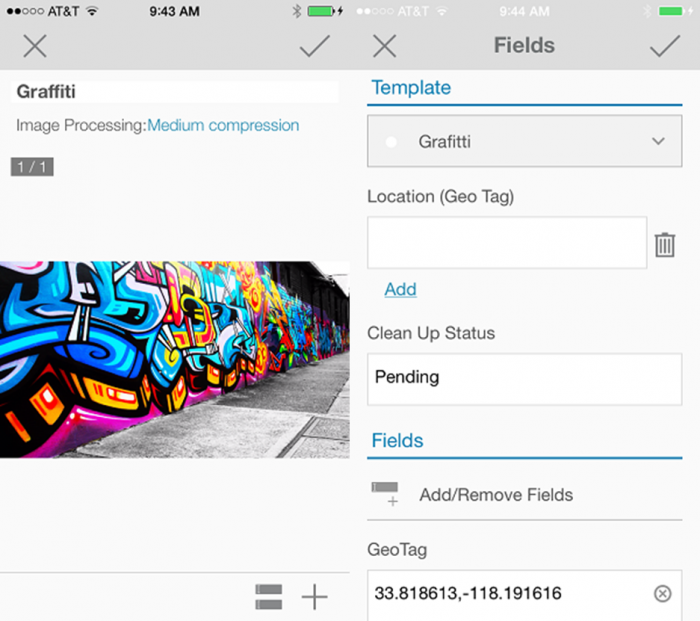 It is also possible to save the exact location coordinates of the photo as a field in the metadata. The Laserfiche app also allows users to submit electronic forms (see the Laserfiche Forms section below). Forms can be filled out while the user is offline and submitted when he gets back into network range. All of the methods described above deal with capturing existing documents into Laserfiche. 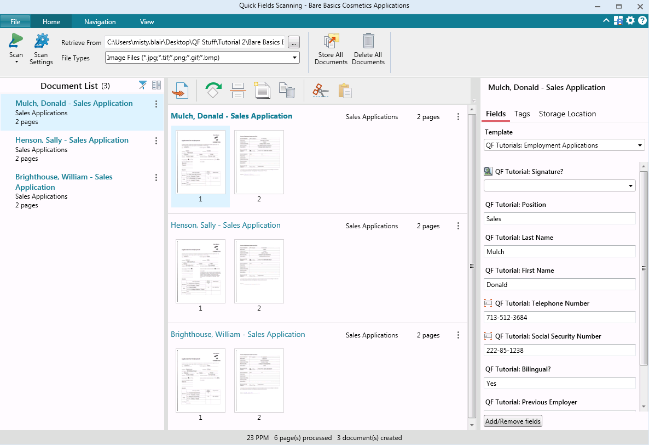 Laserfiche Forms allows for the capture of unstructured data through an electronic form. In addition to filling out the form fields, users can also attach documents to the form. Forms can be saved in the repository as TIFF or PDF files with appropriate metadata. The attachments that are submitted with a form can also be archived in their current format. Forms can be linked to an external database so that some of the information can be pre-populated for the user. Laserfiche forms can be submitted from a computer or through the Laserfiche app. Learn more ways to digitize your information by registering for the Empower 2019 conference!